​​SAN ANTONIO - Laurus Corp. is spending roughly $17 million to transform its Marriott Northwest hotel in San Antonio. The list of improvements underway at the Marriott Northwest includes the renovation of all 295 guest rooms, a redesigned atrium, the creation of a new, more contemporary, more open bar and the development of a new restaurant—Asado Urban Grill. Once the project is completed, the Marriott Northwest hotel will also gain a new M Club Lounge for Marriott Platinum Members. 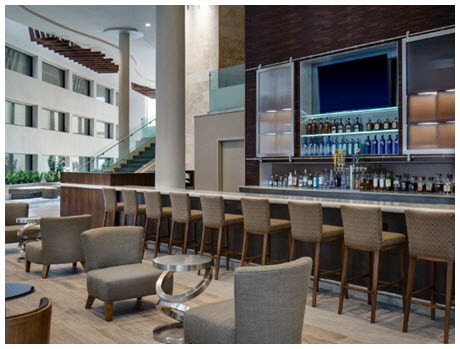 It will be the first lounge of its kind for Marriott in Texas, according to Laurus officials.